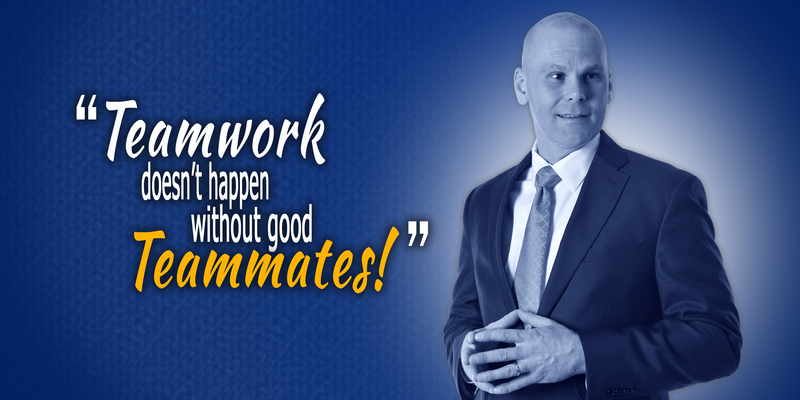 Lance Loya is a leading authority on the good teammate mindset. He specializes in getting individuals to shift into the We Gear, and change their focus from me to we! A college basketball coach turned author, blogger, and professional speaker, he is known for his enthusiastic personality and his passion for transforming teambusters into teammates. How do teammates shift into the We Gear? Acknowledge the existence of the Me Gear where everything is about you and for your own personal benefit. Recognize the significance of Clutch moments before you shift gears and act on impulses. Consider the ripple effect that your choices will have on your teammates prior to making decisions. Understand the power of We and the idea that We is greater than Me. Prioritize the various teams to which you belong, so you have the clarity to identify your true purpose. What does it mean to be a teammate who’s A.L.I.V.E.? Active—Be a person of action and have the courage to confront sources of toxicity. Loyal—Stay away from cliques and honor your commitment to the team. Invested—Build bonds by taking a genuine interest in what inspires the other members on your team. Viral—Understand emotional contagion and master your body language so your energy spreads through the team. Empathetic—Make an effort to understand the intent of the action and what it feels like to be your teammate.